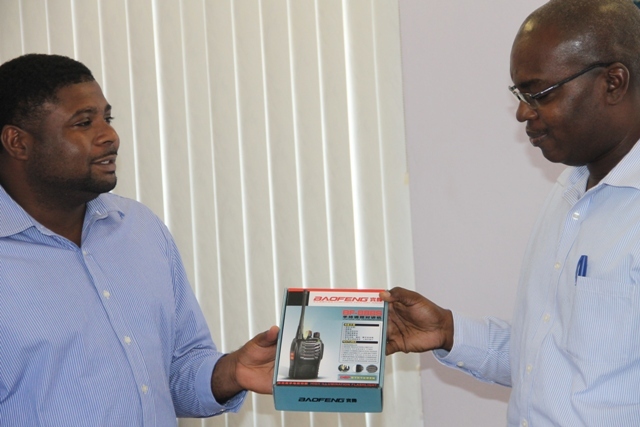 Mr. Liburd presented the communication equipment to Permanent Secretary in the Ministry Ernie Stapleton, at a handing over ceremony at the NIA conference room in Charlestown on June 25, 2015. 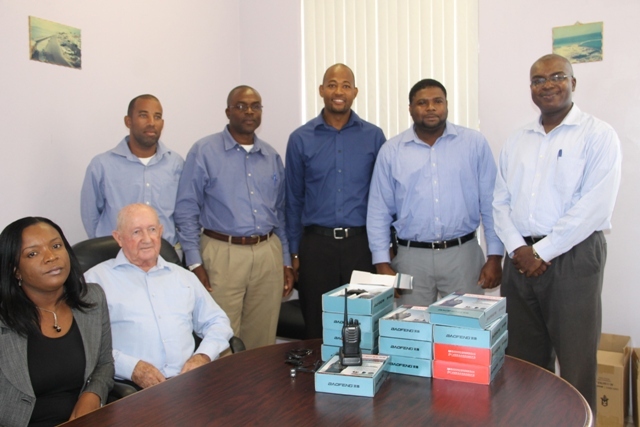 In brief remarks, Mr. Liburd explained that he saw the need for the radios and took a personal decision to purchase them for use by ground staff at the Nevis Water Department and the NIA’s Public Works and Physical Planning Departments. He said he made the decision to purchase the short range two-way radios in an effort to assist the NIA, after observing that staff were in need of a means of communication while working in the field. “I just felt that it was something that I can do to assist personally and the personnel from the various departments, I think they work very hard and this is my way of giving something back to the ministry for working hard to make me look good and to make the government look good,” he said. 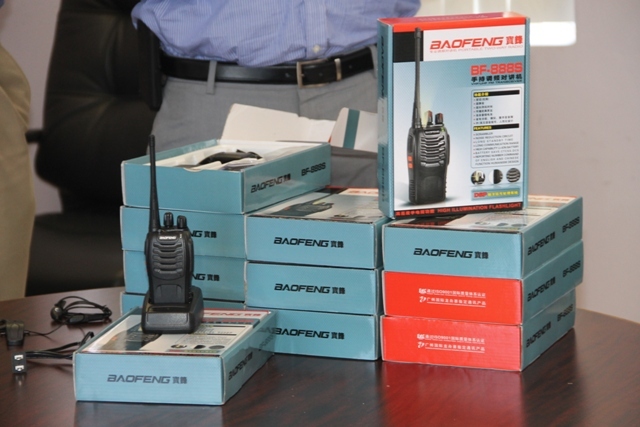 According to Mr. Liburd, prior to handing over the 12 radios, he had bought six sets which he had already donated since February for use in the Hanley’s Road Rehabilitation Project. He said he had received positive reviews about the device from the persons using them and decided to purchase the additional 12 units. In response to the donation, Mr. Stapleton thanked the Junior Minister on behalf of the NIA for the kind gesture and said he regarded the gift as one which showed a genuine interest in the work of the ministry. He said the communication equipment would go a long way in motivating the staff and assist with the implementation of various projects and programmes planned within the Ministry of Communications and Works.